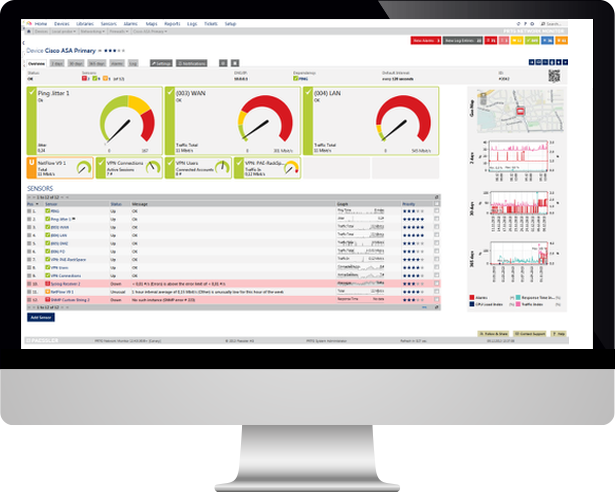 Efficient network and environmental monitoring is essential for fulfilling lawful requirements and for the flawless operation of business IT. 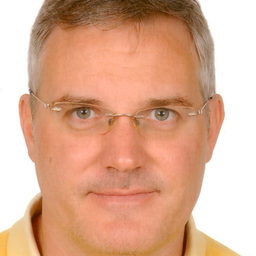 The combination of the Kentix MultiSensor technology and the Paessler PRTG Network Monitor offers the ideal solution. 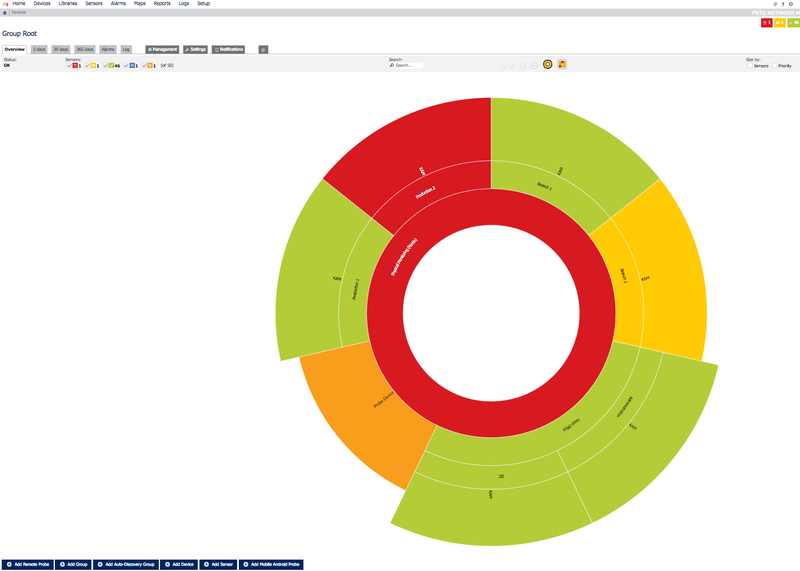 Find out how easy it is to monitor the entire IT infrastructure without gaps and to have it at a glance always! 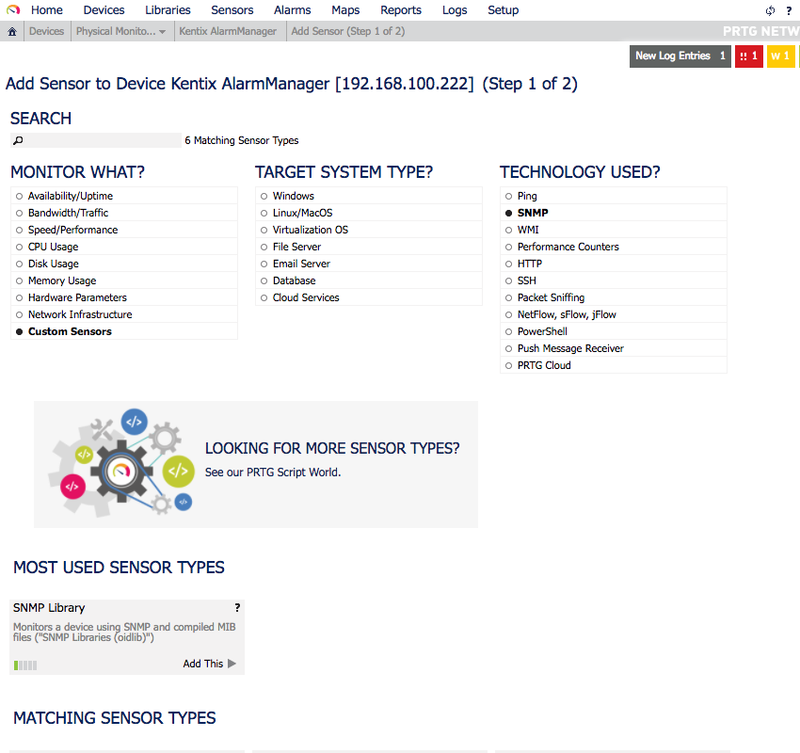 The Kentix MultiSensor® technology monitors your IT rooms and cabinets for all major physical threats. The different measurement and alarm values are also provided via SNMP and can therefore be integrated very easily into network monitoring solutions via a Management Information Base (MIB). 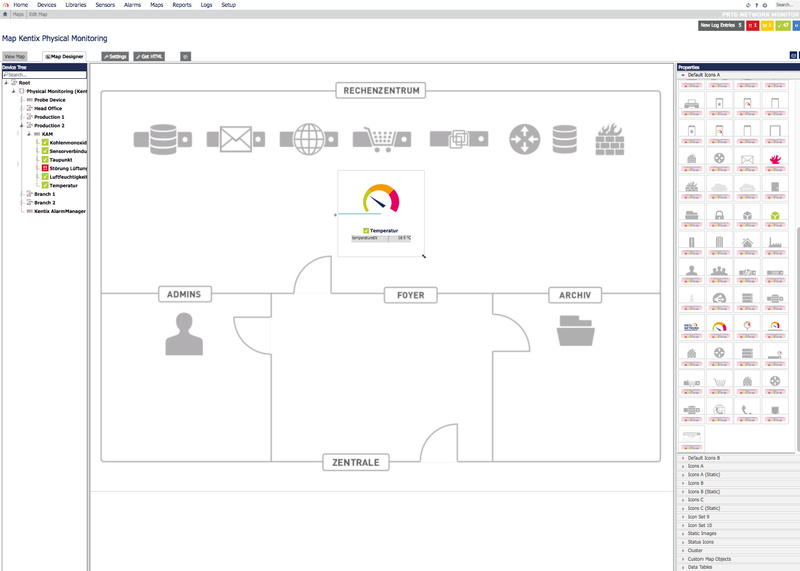 This way, all important parameters and critical conditions of your IT infrastructure can be shown in one surface. 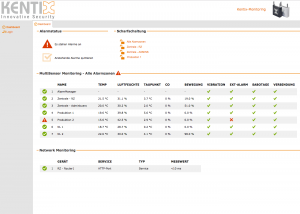 One of these network monitoring solutions is the PRTG Network Monitor by Paessler. 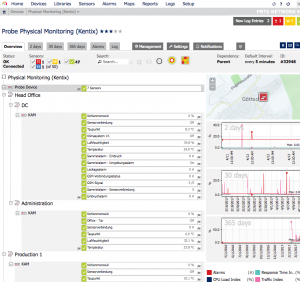 PRTG offers complete IT infrastructure monitoring. Ideally, the system detects and reports problems before the user even recognizes them. The values that PRTG reads from servers, routers and other devices in the networks are indicated by so called sensors. Each sensor stands for a parameter that is observed by PRTG. The configuration of these sensors – from initially adding them to defining thresholds for alarming – always follows the same pattern. Here, we will explain to you how it works in a few simple steps. PRTG offers a comfortable web surface for the administration of devices and sensors. All settings can be set on this surface and the system can be adapted to individual requirements. 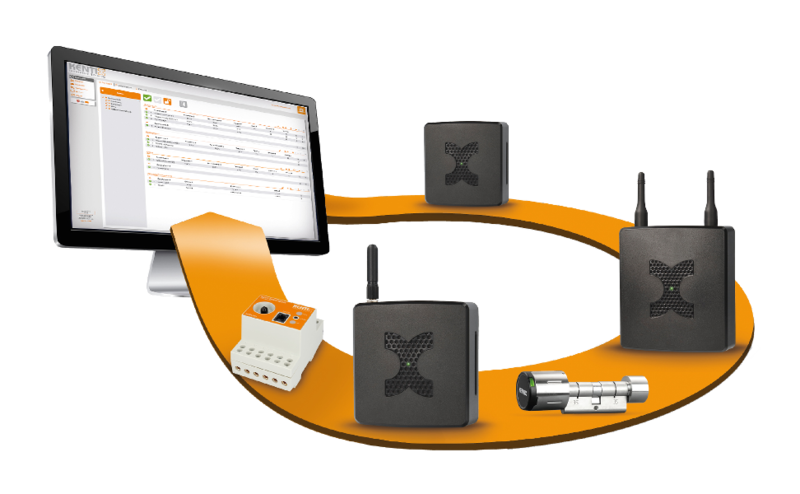 Kentix devices are added just like servers, routers or switches and then assigned to a superordinate group. So in the first step, you add the AlarmManager. If necessary, a new group can be created prior to this step. Especially for bigger setups, this helps you keep an overview over the entire infrastructure in PRTG. After adding the AlarmManager, you set up the sensors on it. The SNMP protocol serves as communication interface in order to retrieve the single values that the MultiSensors collect. 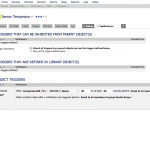 A so called SNMP-Library (OIDLIB) is available for the selection of the MultiSensors. 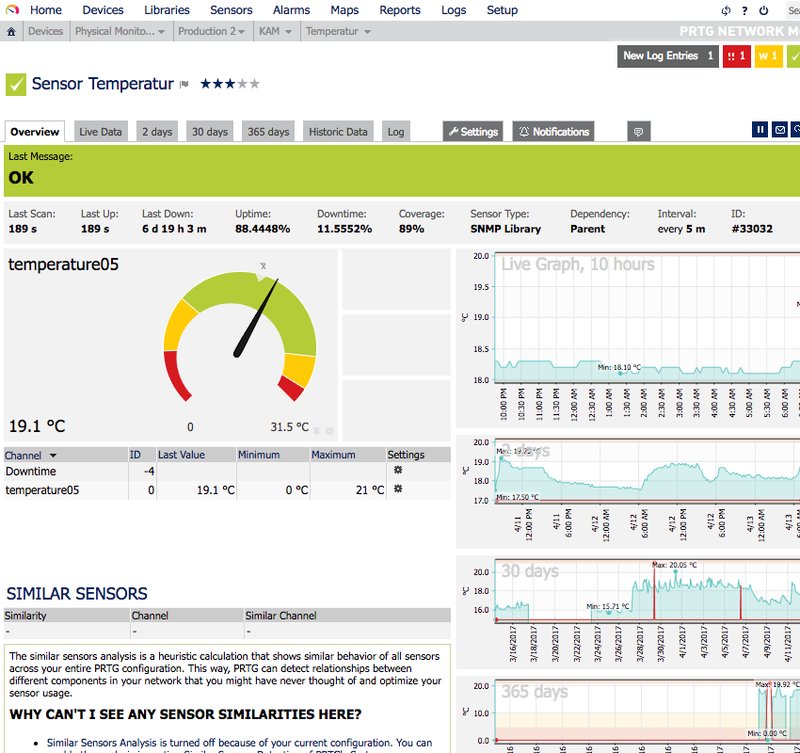 Moreover, you receive a list of all single sensors that can potentially be connected to the AlarmManager – temperature, humidity levels, alarm status, etc. 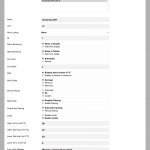 From this list, you choose the desired sensors in order to retrieve their measured values and to view them in PRTG. The sensors are added to the AlarmManager and are viewed in a tree diagram underneath the device. For each single sensor, up to four threshold values for the conditions “warning” and “error” can now be determined for the display in PRTG. 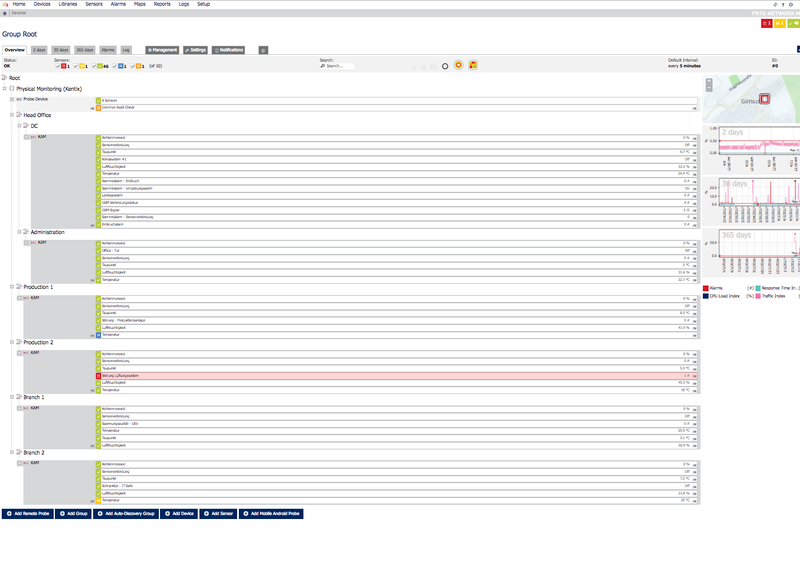 This serves the visualization and logging of alarms in PRTG. If a threshold is exceeded or undercut, the sensor will be marked accordingly in the overview. This way you can see at a glance if there is a problem and where. In case of an error, users or user groups can be alarmed through different channels such as e-mail or push notification. In combination with the AlarmManager‘s SMS gateway, alarms can also be sent as text messages. 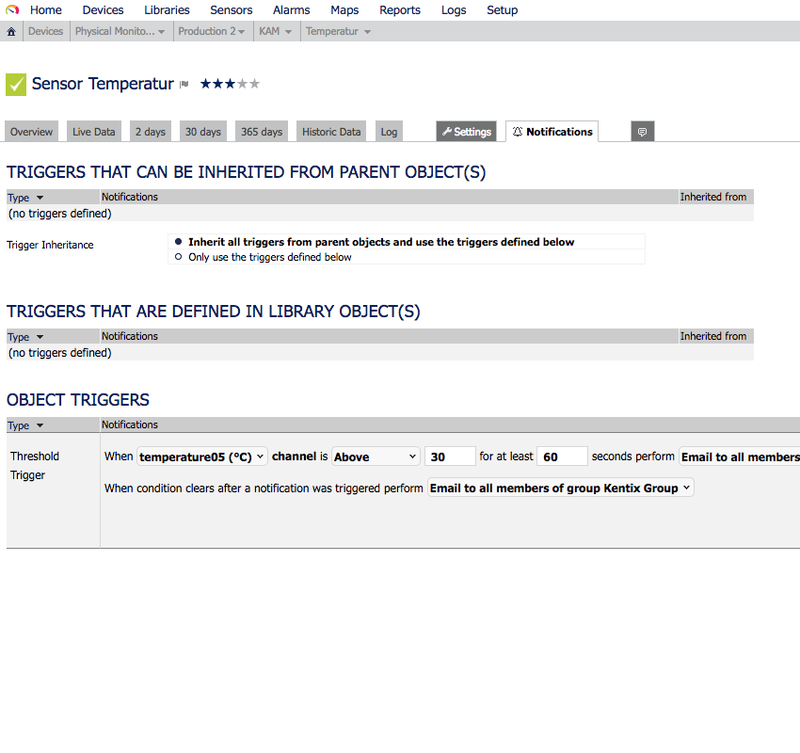 Different types of “triggers” define if and when an alarm is reported. For example the exceedance of a threshold can serve as a trigger or the changing of a status from “up” to “warning”. A notification can either be defined for a single sensor or for a group of sensors. 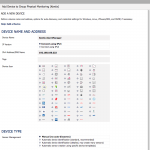 If the sensors have been grouped accordingly – for example temperature values of all MultiSensors – the notification can also be defined globally instead of setting it up for each single sensor separately. With these steps, Kentix devices as well as the entire IT infrastructure can be added to PRTG for complete monitoring and alarming. All measured values are continuously recorded so that no gap is generated in the history. Especially when you want to monitor large IT infrastructures or for setups with distributed systems across several sites it can be necessary to use a better visualization. The aim is to see at a glance if any part of the infrastructure is currently experiencing problems. PRTG offers so called Maps for this. In these maps, a background image such as a floor plan can be implemented in which single sensors or groups of sensors can be placed. 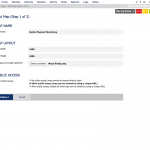 The map could then be made available via the intranet. This way it is possible to give an overview of the own infrastructure e.g. on a larger screen. In the “Maps” tab you can create a new Map. Simply choose the name, size and background picture here. Additionally, you can determine whether a Map will be public, which means it will be accessible without logging on to the PRTG server. 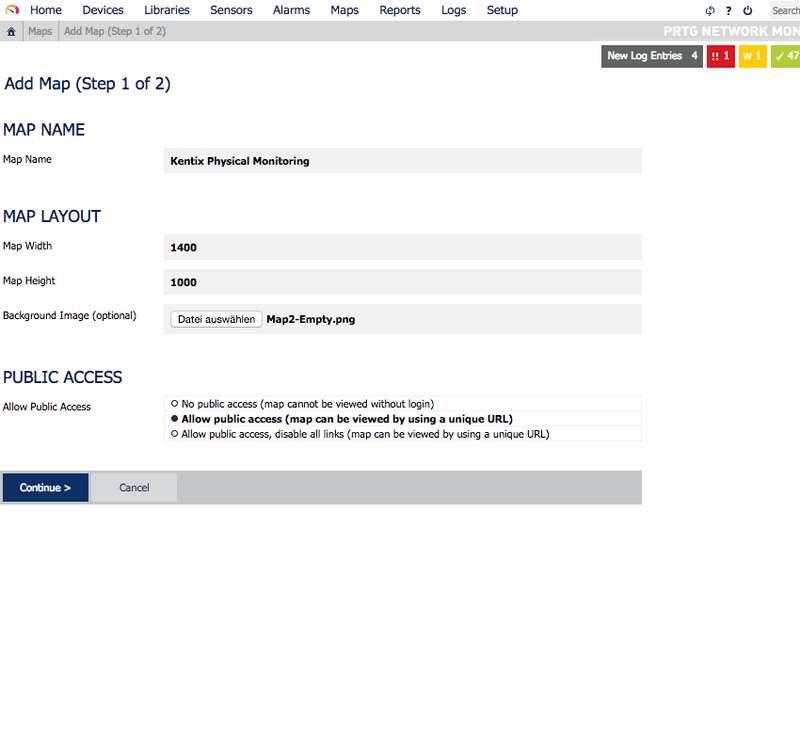 This way, a person can access the map, observe the IT infrastructure and report potential problems – all without being endowed with too much authorization. Once the map has been created you can add sensors to it. 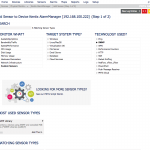 PRTG’s Map Designer is divided into three parts: The “Device Tree”, the Map and the “Properties”. 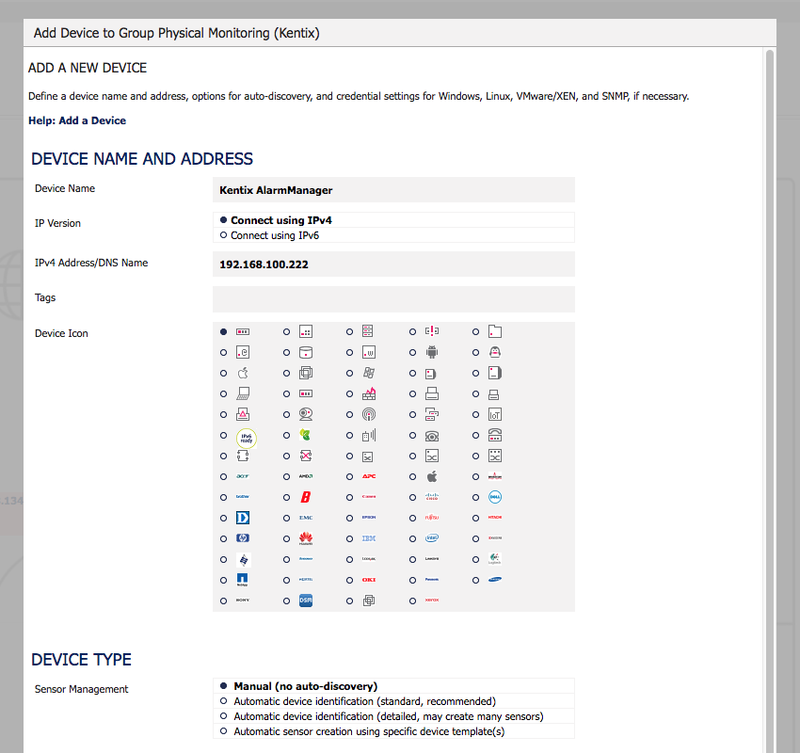 In the Device Tree on the left side, you can see all available groups, devices and sensors. 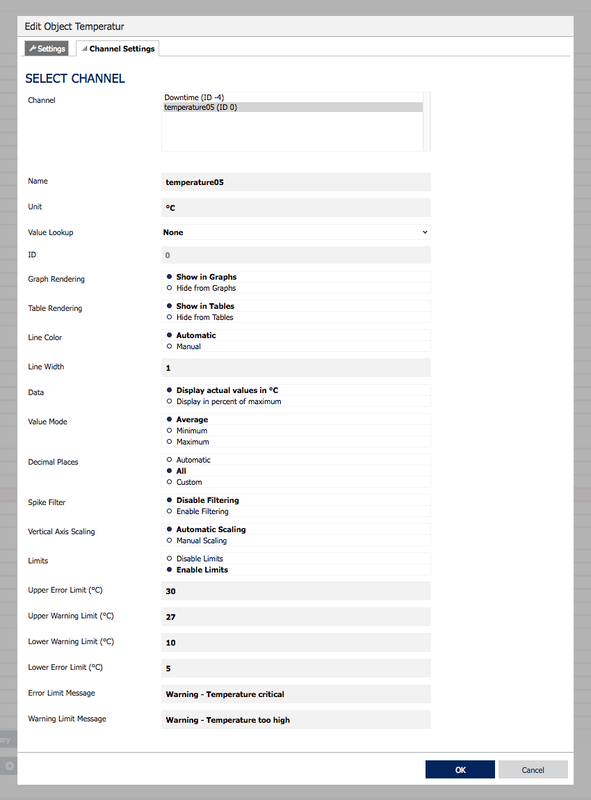 The Properties on the right side show a selection of icons, but also elements such as tables or graphs. Simply drag & drop the elements on the Map as required. Moreover, you have the option to embed external HTML code in order to depict data such as meteorological data or video frames. 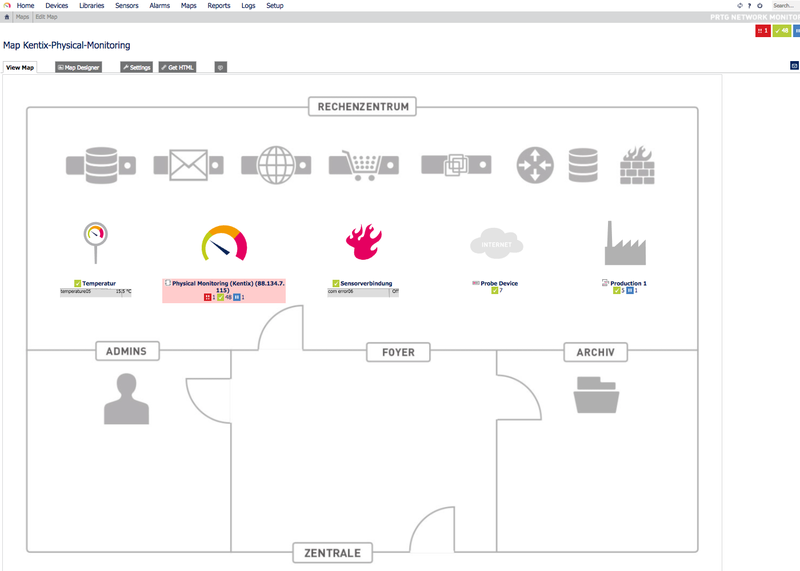 This way, IT infrastructure monitoring is simple even in larger companies. IT infrastructure monitoring for all major threats with redundant alarming while at the same time keeping efforts for installing, configuration and maintenance of the system to a minimum. 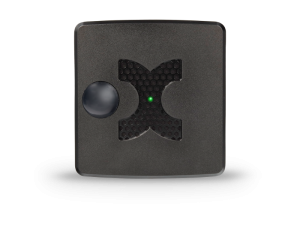 The AlarmManager merges all the information that the MultiSensors collect. 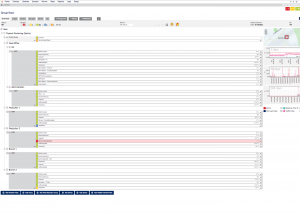 Aside from the alarms via SNMP and e-mail, the AlarmManager can also send text messages through the integrated GSM modem. 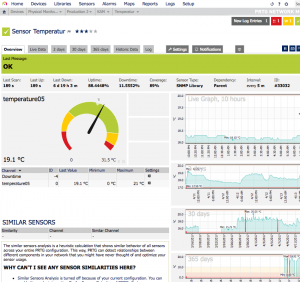 Moreover, the AlarmManager can be used as SMS gateway for the alarms received in the network monitoring system. It is controlled with a simple HTTP command. PRTG offers according notification options for this matter. 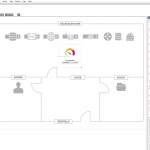 PRTG uses the existing infrastructure to send alarms via e-mail or push notification. But what if that is where the problem lies? In the worst case, alarms cannot be forwarded to the responsible persons. 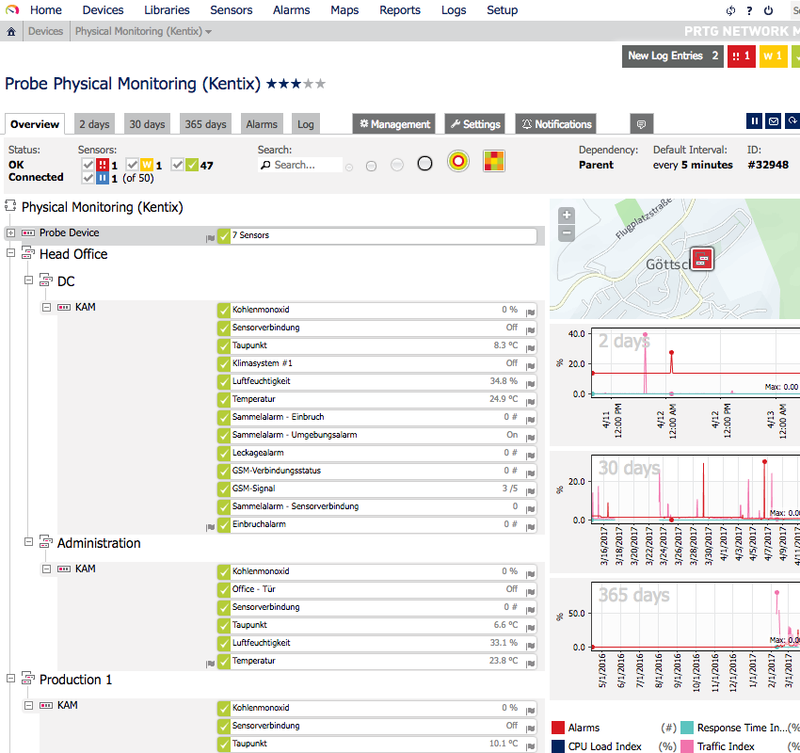 The Network Monitoring that is integrated into the AlarmManager monitors up to 50 devices in the network for availability. The advantage: If the request fails several times in a row, the AlarmManager sends out an alarm – not via the network in this case, but additionally via SMS. The two solutions offer the ideal extension for each other due to their variety in features and options. Advantages and added values are obvious. Whether it is an extension for an existing system or a completely new setup – the cost for investment is manageable and become profitable at the latest when the first outage has been avoided. 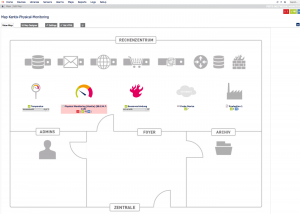 Gapless IT infrastructure monitoring – ingeniously easy.